At the tail end of last summer, director Wes Ball dropped yet another adaptation of yet another dystopian young adult novel into our laps with The Maze Runner, and, much to the surprise of many, it was a blast. Not as good as The Hunger Games movies by a good margin, it is a damn sight better than the Divergent films. Made on the cheap, it was also a highly profitably endeavor, and now the sequel, Maze Runner: The Scorch Trials, is here in the same slot to continue the saga of a bunch of amnesiac teenage boys. The film version of the second installment of James Dashner’s trilogy picks up right where the first film leaves off, and with a similar balls-to-the-wall approach to pacing. When I read The Maze Runner, I didn’t think much of it as a book, but thought to myself how I could see it becoming an energetic, exciting movie, which it did. Basically, it picks the audience up, moves them right along, provides the necessary minimum of exposition to sell this world, and doesn’t leave much space for down time or moments where plot holes or inconsistencies might trip things up. Following that logic, The Scorch Trials is, oddly enough, a bit like George Miller’s Mad Max: Fury Road in this regard. 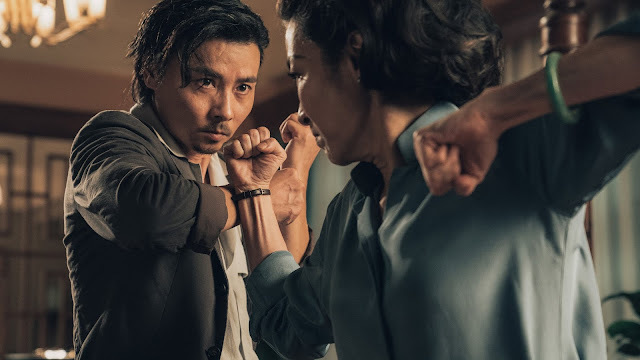 While the forward momentum does pause from time to time to do things like work on character and motivation, expand the world, build tension, and do the other necessary narrative heavy lifting, it is, essentially, one long chase scene. After being rescued from the nefarious forces of WCKD, we find Thomas (Dylan O’Brien) and the other Gladers—the boys who were dumped in the titular Maze of the first film—temporarily stored in what appears to be a weigh station for others in a similar transitional situation. 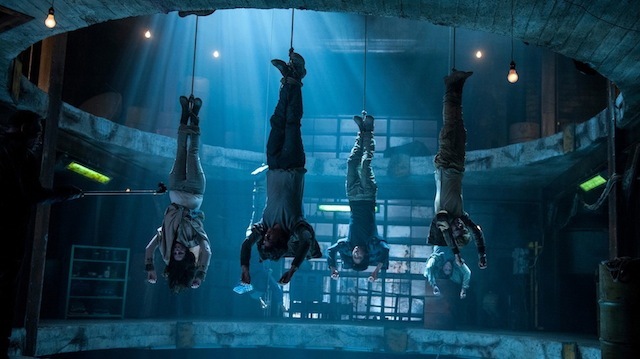 Thomas, Newt (Thomas Brodie-Sangster), Minho (Ki Hong Lee), and the others, including the lone female in their crew, Teresa (Kaya Scodelario), are, understandably, untrusting of their new surroundings and mysterious benefactors, and when they discover the dark secret driving their “saviors,” they escape and strike out on their own. While The Maze Runner took place in a small, self-contained realm, The Scorch Trials rips down the walls and throws the world wide open. Among the things we learn are the true extent of WCKD’s reach, not to mention the extreme lengths they’re willing to go to in order to meet their end game; a vague reason for wiping the memories of young people and dropping them in the Maze; the true nature of Thomas and Teresa’s relationship; and much more. The true state the world is not good. As the title implies, much of the planet has been “scorched” by solar storms and turned into a post-apocalyptic wasteland that, again, resembles Mad Max. There’s also a virulent plague to contend with, a nasty little bug that turns its victims into flesh hungry maniacs. Here The Scorch Trials is the least effective and the most generic. The infected are essentially slavering fast zombies, and the moments where they pop up feel like cut scenes leftover from a film like 28 Days Later. You’ve seen it before and there’s not anything particularly interesting about them—guess how you catch the virus? That’s right, when they bite you. Again, like the first film, the world building does take a backseat to the action. With such a rapid pace, there’s never a ton of time to stop and ask questions, so it isn’t a huge issue, though the closer you look, the bigger the cracks are. The film shows the institutionalized side, personified by WCKD strongholds and sterile lab facilities; but for juxtaposition and context, it also shows the grim, filthy, precarious existence of those who live outside, in the ruins of the old world—this includes an awkward drug scene at what is, for lack of a better word, a post-apocalyptic rave. For the most part, the T.S. Nowlin’s script provides just enough information to prop up the world and the story, and explain the action before whisking us along our merry way. As far as the performances go, they’re fine; nothing to write home about, but they work well for what the film needs from them. O’Brien proves once again that he’s got enough charisma and presence to carry the day as a teen in mortal danger—there’s a lot of looking puzzled as he tries to piece together the truth, getting his friends to safety, and sprinting from imminent danger. A nice crew of new additions brings a wider swath of generations to the table, including Giancarlo Esposito as a resident of the Scorch; Aiden Gillan, as the primary antagonist, brings a level of sleaze and smarm to the character that he so perfectly brings to every role; and Barry Pepper as a desert revolutionary. This time around, there are actual women in the movie—Teresa was literally the only one until the very end in the first film, though, unfortunately, she is not any more developed in The Scorch Trials. Rosa Salazar is the biggest addition in this realm, playing a tough-as-nails denizen of the wasteland, and you just know a potential future love interest for Thomas. Nathalie Emmanuel shows up as a survivor from another Maze, while Lili Taylor’s presence hints at a broader, more sprawling history, and fills in some of the gaps.